Over the last few years, there’s been a growing focus on the importance of strengthening resiliency and developing healthy coping mechanisms among teenagers, college students and young adults. Research shows that emotional health issues, like depression and stress, are on the rise, and many experts believe that the pressure to succeed and our “digital landscape” are contributing to the difficulties. When unaddressed, these issues can lead to academic failure, substance abuse, isolation and self-harm. Research also shows that simple mindfulness techniques can play a significant role in improving emotional health. 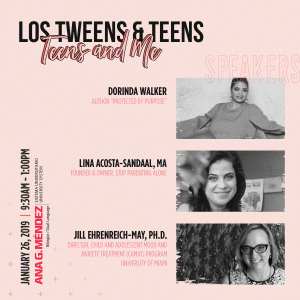 This is critical for helping young people effectively navigate the emotional pitfalls they encounter during their transition into adulthood: relationship problems, break-ups, academic pressures, job searches, financial worries, etc. The Jed Foundation (JED), a national nonprofit that exists to protect emotional health and prevent suicide for teens and young adults, and MTVU, MTV’s college network broadcast on over 700 college campuses, launched Press Pause today as part of their Peabody Award-winning Half of Us campaign (halfofus.com/presspause). Press Pause includes 10 animated PSAs and an online hub to engage students and inspire them to use simple mindfulness techniques – like breathing exercises, meditation, perspective checks, music and movement – to deal with common stresses and challenges that can make young adults feel overwhelmed or hopeless. The spots point to an online hub (halfofus.com/presspause) that walks students through mindfulness techniques in more detail, features interviews with high-profile artists and other students talking about their coping mechanisms. It will also offer students the chance to share their own mindfulness tips and encourage them to pass these tools along via social media. The videos will be added to a growing library of feature-length films, interviews and PSAs that are available to campuses free of charge at www.halfofus.com/campus. A free planning kit will also be made available that gives ideas and tools for incorporating the spots and the Press Pause concept into campus programming targeted at students. Press Pause is teaming up with Tumblr to support the campaign. Tumblr will be using its #PostitForward initiative (https://postitforward.tumblr.com) to encourage users to share the ways they deal with overwhelming situations. This entry was posted in Parenting Teens and tagged kids and stress, MTV, Teen Anger. Bookmark the permalink.